Sold out. 2015 new crop will be arriving end of July. Back again this year, 2014 crop arrived late August packed in Grainpro bags, directly traded. We visited farm and mill in the prior February. Helsar Organic coffee is grown and processed by the partnership of Ricardo Perez Barrantes and the brothers Marvin and Felipe Rodriguez. The coffee is from the Santa Lucia organic farm that is adjacent to the mill. Both their West Valley farm and their mill are exemplary of sustainable practices. Their organic coffee is grown on their own multiply certified farm from a mixture of Caturra, Catuai and Villalobos varietals. The mill is just steps away from the farm, but there Helsar processes coffee not only for themselves but for at least a dozen other growers. 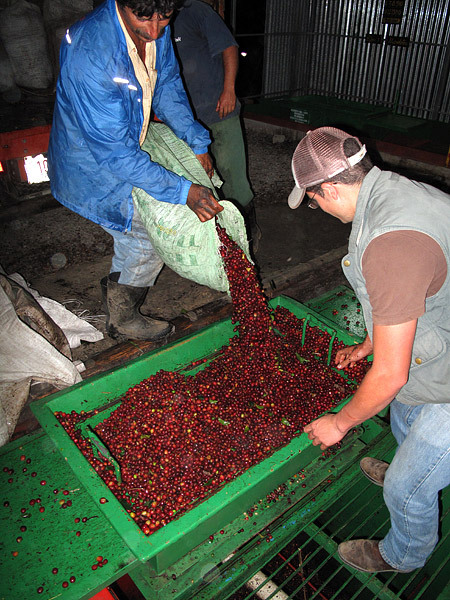 Each coffee is processed separately and to the exacting standards of each grower. The Santa Lucia is semi washed meaning that just the smallest amount of mucillage is left to dry on the husk; this imparts a slight fruitiness once the coffee has been fully dried and milled. The patios at Helsar are covered to dry to the coffee more slowly. The mill uses the latest in low impact aqua pulping machinery. We have developed a relationship with the Helsar micromill and some of the nearby farms for who they process. Multiple award winning organic farm and mill including Cup of Excellence. Their harvest and processing methods are precise, and their coffee is divided into micro lots of both organic and conventional which are carefully selected for each roaster who agrees to buy this coffee while it is still on the plant. 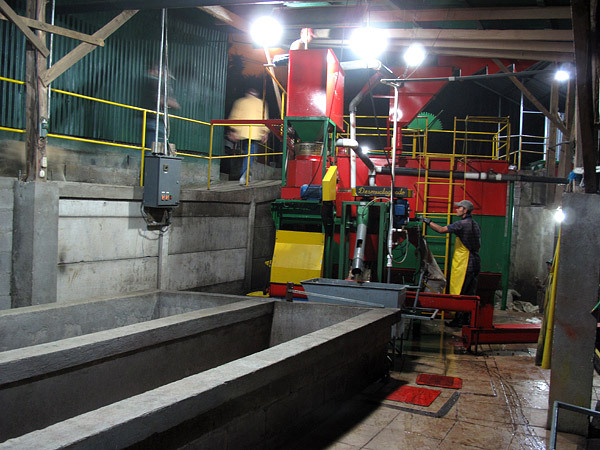 Ricardo P�rez Barrantes, a partner in the mill, has great understanding of the effects the pulping, fermentation, and drying process has on their coffee. His willingness to work closely with the roasters who buy his coffee coupled with his skill as a processor allows him to present them with fabulous coffees. Cup Characteristics: Soft, round with vanilla overtones. Exotic, dry aroma of dark fruit, plummy. Very pleasant overall and balanced. Roasting Notes: This coffee, very high grown at nearly 6000 feet, is very hard and dense. It requires giving it a lot of heat during the period from its turn from yellow / tan up to first crack. 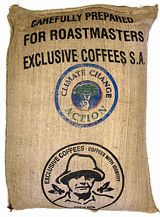 You will like this coffee all the way to the beginning of second crack, at Full City roast level. On a Behmor try P1 or P2. 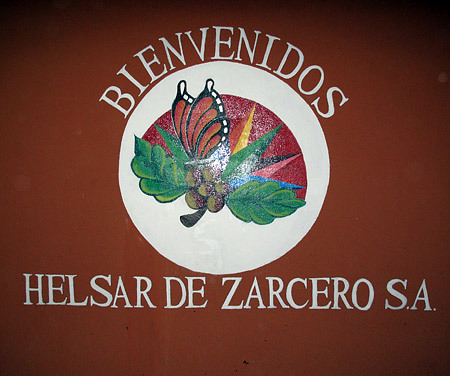 Freshly picked cherries arriving at Helsar de Zarcero as night falls. 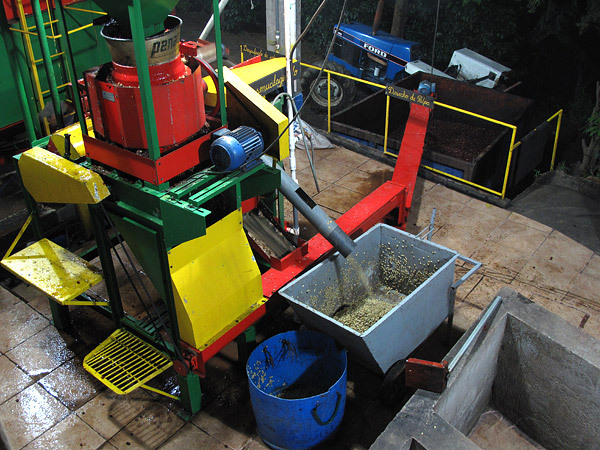 The Penagos milling machine depulps with prescision and uses little water. During the harvest work goes on into the evening.